Reports from MotorOctane reveal that a new Jeep Grand Cherokee SRT variant was found testing in India. The all new Jeep Grand Cherokee SRT is powered by V8 HEMI engine that develops 470 Bhp of power that is something incredibly huge (Isn’t it?). It is just not about the powerful engine of the car, Fiat‘s Jeep Grand Cherokee SRT gets a well made cabin as well. Jeep’s Grand Cherokee SRT comes with active noise cancellation as standard and an extended options package. The design of Cheerokee is bold – the exterior package of the car is a modernist take on the traditional Jeep. The car gets all-new LED taillights, the entire body-line of the car gets a mild refresh, and there is also a 5-spoke alloys which come exclusive with the SRT variant. 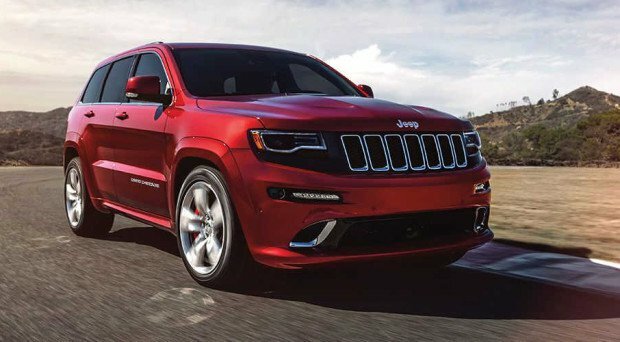 The Jeep Grand Cherokee SRT can be a perfect car for off-road use – the car gets 8-speed auto transmission and more stiffer and lowered suspension. Expect the new Jeep Grand Cherokee SRT to be showcased at Auto Expo 2016 in India.